Amazing painting. It is a true Master piece. Sir,you deserve 5 stars.Very well done piece. 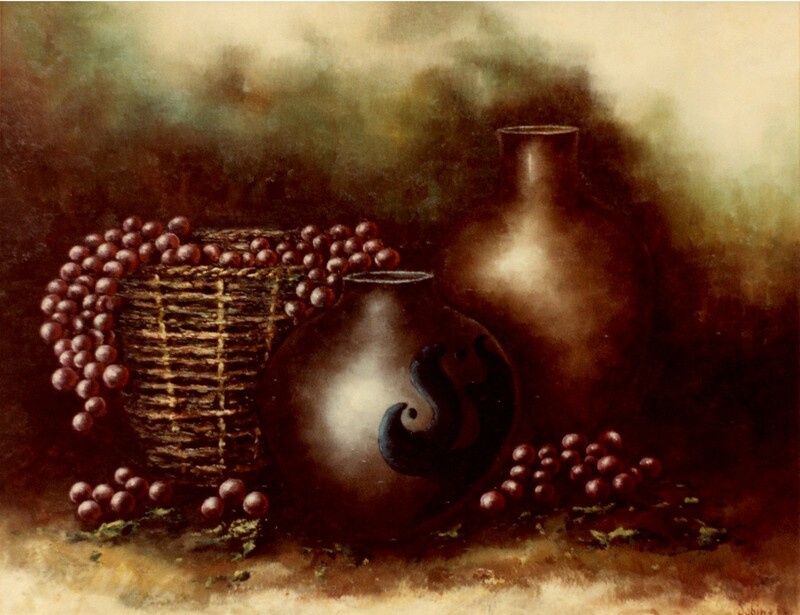 The use of brown really makes the object stand out while not disturbing the grapes appearance.